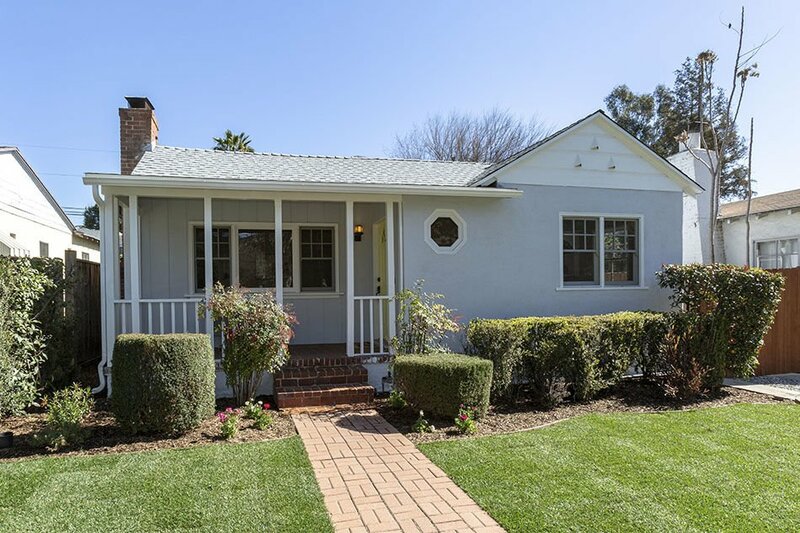 Hear the clip clop of horses trotting by from the front porch of this sweet 1937 Traditional home in the heart of the Atwater Village Equestrian District. An unusually gracious formal entry accented by a hexagonal window leads to the bright, generously proportioned living room with coved ceilings and brick fireplace. Just beyond, a dining room with original built-ins and tray ceiling leads into a wide galley kitchen with an extra nook to create a breakfast bar or additional storage. A central hall provides access to an updated full bath and two light-filled bedrooms with efficiently organized storage. Off one bedroom, a bonus room serves as the perfect office, den or play space. The large backyard features ample room to create dining, entertaining, and lounging areas — and a two-car garage with an attached laundry/storage room offers endless possibilities. The peace and quietude of a tucked away locale can be yours — while still conveniently located just moments from all the best Atwater Village shops and restaurants on Los Feliz and Glendale Blvds! 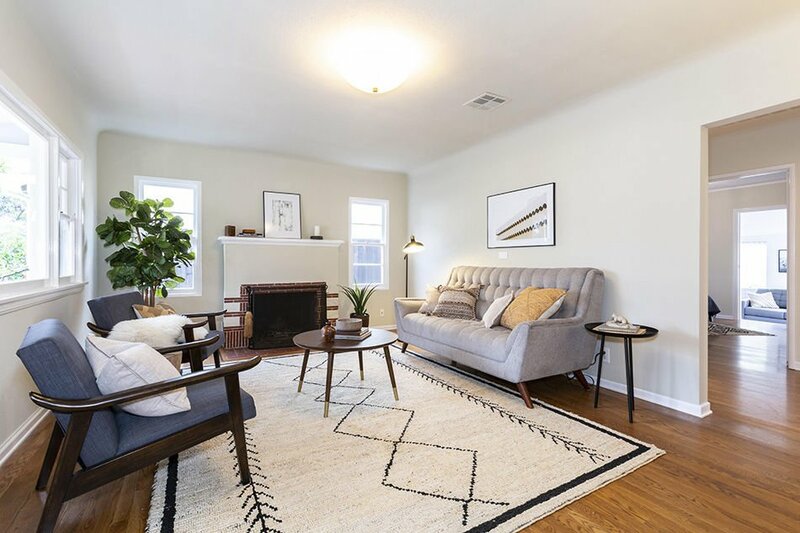 Come enjoy this bright and cheery bungalow located in prime Silver Lake. As you enter this home on the street level, you take in the sweetest living room, two bedrooms, and full bathroom featuring custom tile. Next, you’ll walk down the stairs and land in the sitting + dining area drenched in natural light, which opens up to the private backyard boasting a mature and majestic palm tree. The kitchen is full of character and leads to your storage/office space and 2nd full bathroom. Additionally, located at the rear of the backyard is a bonus studio equipped and ready for your perfect at home work space or media room. This home offers a charm and opportunity that doesn’t come around often. The location places you so close to Sunset Junction favorites, the trendy retail spots and neighborhood staples such as Cafe Stella, Pine & Crane, Intelligentsia, the Silver Lake Farmers Market and so much more.